It's nearly half-term and I thought I try to get this month's News Roundup out before I run out of time! 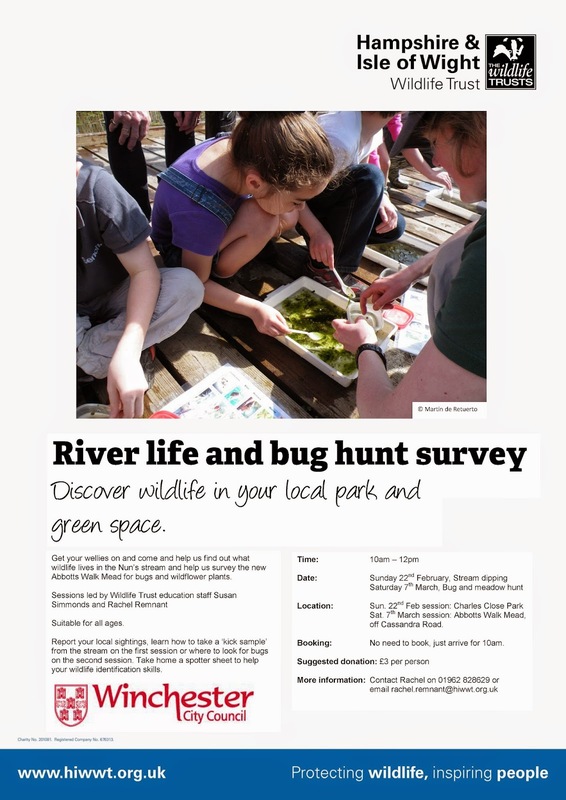 Have you seen that the Hampshire and Isle of Wight Wildlife Trust is organising two events in Abbotts Barton? 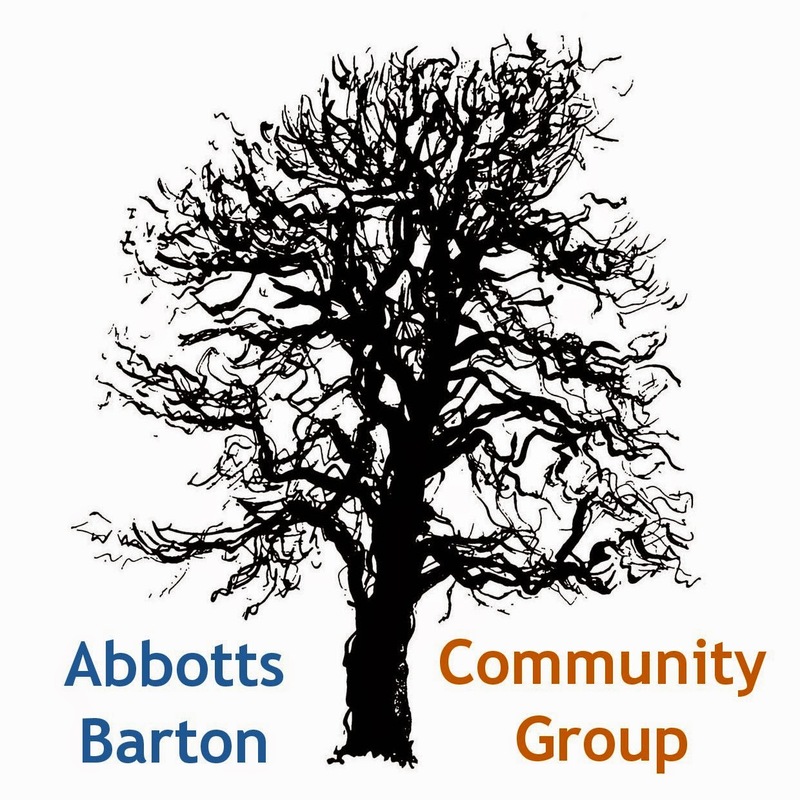 The first one will be during half-term on Sunday 22 February at 10am down at the river (near the hole in the wall) and the second one will be a on Saturday 7 March 10am on the Abbotts Walk green (Abbotts Walk is the new development off Francis Gardens), details to be found on the poster. 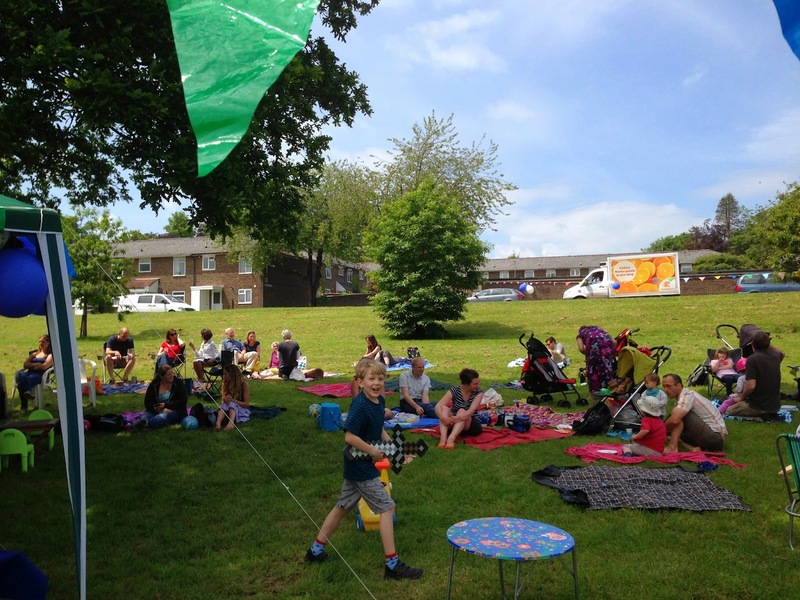 If you have neighbours who are not part of the community group, please let them know as well! It's also a great opportunity to meet other people around the area and make new friends! If you have been to our website recently you might have noticed that we have added a new tab called About to the site. This new section gives you a) an overview of what the group wants to achieve, b) a little history, and c) a list of our successes so far. Soon we will add another page on which we will list 'jobs' that need doing in the hope to find a few people to help as volunteers. These jobs should not take too much time out of anybody's schedule and our group would benefit greatly from some more helpers, so please check back soon if you think you can spare a couple of hours a month or so and would like to meet new people! Congratulations to the Abbotts Barton residents on the west side of Worthy Road: they have persuaded Winchester City Council to vote for parking restrictions on their side too! Roads were made dangerous to navigate by careless non-local drivers parking even at the most inconvenient spots all day. At some point even the bus couldn't get through anymore (see the Hampshire Chronicle article for more info)! From what I've heard there will be similar restrictions implemented to what is currently on the east side (Mon-Fri 11am to 2pm), which in my opinion is a very good solution. It has kept the roads empty enough to allow residents to find parking spaces but still allows non-residents to park at certain times to go for a walk or stop for a play in the local park. Even better, it allows for day-time visits during the non-restricted times without the residents having to pay for visitor's permits (£1 a day). By the way, did you know that there are websites where you can offer your driveway for daytime parking to non-residents in exchange for a little fee? One of them is Use My Space. I'm sure you've heard about the big news relating to the judicial review of the Silver Hill project, if not: all the main points can be found here (Hampshire Chronicle) and here (Daily Echo). Have you seen the suggested changes to the Winchester ward boundaries? You can look up the proposal on the Local Boundary Commission's Winchester web page and you can also comment there via a link. If this proposal goes through, the ward of St Luke's and All Saints would decease to exist and some of it (Winnall) would become part of St Bartholomew's (our ward). This combination could possibly shake up the possible voting results for our ward as at the moment St Luke's and All Saints is the only ward in Winchester with Labour councillors (all three of them) whereas St Bartholomew currently has three Liberal Democrat councillors. The ward boundary changes could also see city councillor numbers cut (Hampshire Chronicle). Have your say: Winchester City Council is currently consulting on a number of projects, one is the Station Approach Scheme and the other is the Winnall Planning Framework. Both have surveys going! And finally: the first part of the Barton Farm development will be called Kings Barton according to this article (Hampshire Chronicle), which in my opinion, how can I say it, is not too original in this area. Only marginally better than Abbotts Worthy! And why not Queens Barton? !